Enjoy Spring With A Garden Full Of Blooms! It’s so nice to see some beautiful blooms after that long winter! Blossoming flowers symbolize the start of the season for us, and remind us that we have many months ahead to enjoy the beauty of the gardens we work with. Does the beginning of Spring have you thinking about your own garden? Whether your landscape needs a little updating, some cleaning up or a complete renovation we are here to help! Schedule an appointment with our very own Carlos Montano (Horticulturist and Partner) for a professionally designed landscape full of diversity that you can enjoy all year long! Asters For Beauty and Privacy! Asters are a beautifully full, hearty and colorful addition to your flowerbeds. They can be a great option for providing privacy and pleasant scenery simultaneously, when choosing the taller variety. Interested in learning more about creating variety in your flowerbeds? Meeting with a Horticulturist for your landscape design is the best way to go. Give us a call and we’ll schedule you a free consultation! Proper Spacing Of Plants Is Key To A Successful Garden! When planting your perennials and annuals, you need to keep in mind the maximum height and width of each plant. You want to keep them far enough apart, so their growth is not inhibited and they do not become entangled within surrounding plants. However, you also want to keep them close enough together to prevent gaps in your flowerbeds. Keeping them close enough together will create a lush garden atmosphere that seems to always be in bloom. 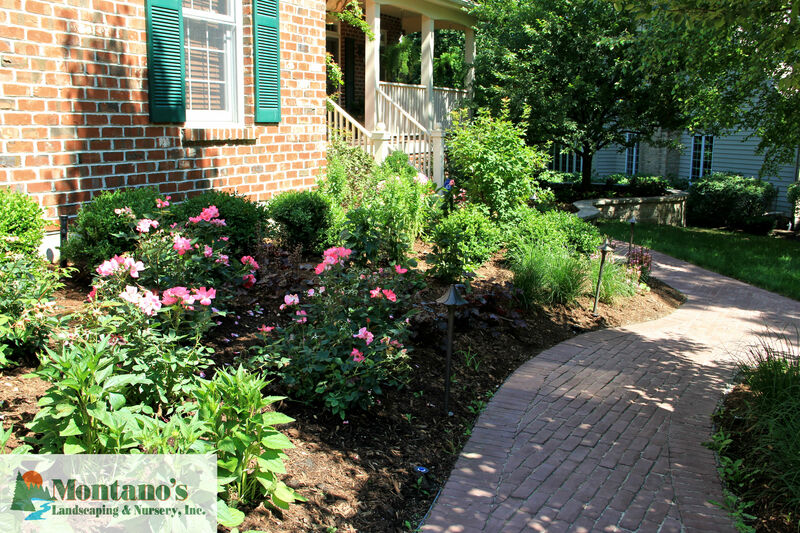 If you need help choosing plant material and designing your landscape meet with one of our owners, Carlos Montano – Horticulturist and Landscape Designer! Our consultations are always free and are a great way to start your planning!